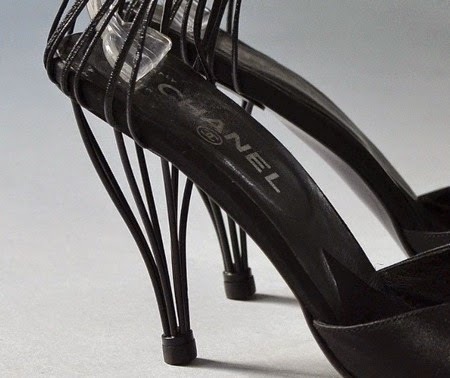 No actual Cangemi shoes are known in existence with such a heel. 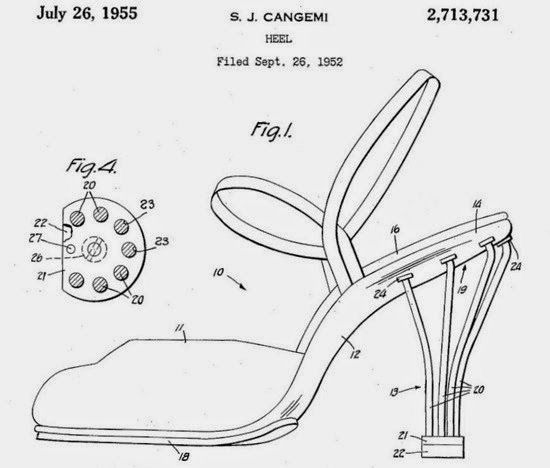 However the Canadian sandals below might have been created using the Cangemi patent, or so it seems judging by the pictures. 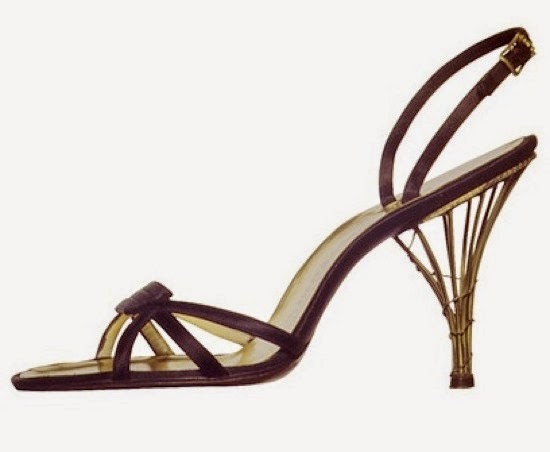 We didn't want to spoil the Salvatore Cangemi V/S Salvatore Ferragamo angle, but Ferragamo is only the third in line after a Dutch brand called JAC. BERGMANS (from Waalwijk) as you can see from the following picture. 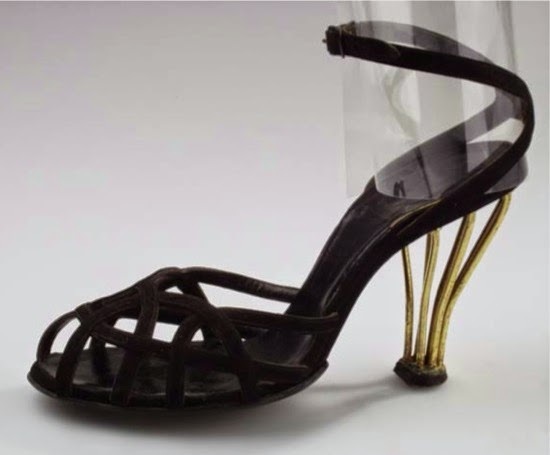 The shoe is kept at the Dutch Leather & Shoe Museum and, as always, the info was brought to our attention by our dear friend Inge Specht-den Boer, curator of the very same institution. 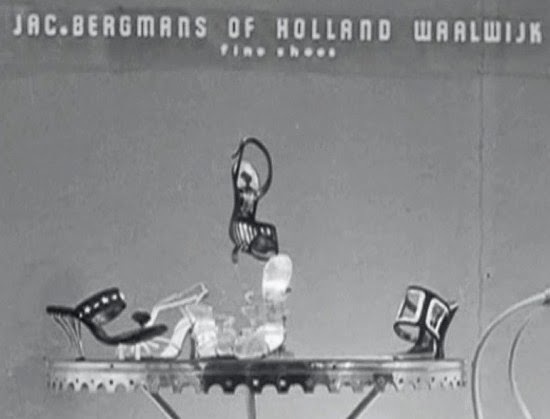 She ascertained the date (1953) thanks to this youtube video, a slideshow compiled by the Historical Society of Waalwijk of the shoe trade fair called S.L.E.M. (Schoen Leder en Mode, Dutch for Shoe Leather and Fashion). And then the rest. Starting from Italy's Creazioni-Mariorty Anacapa. 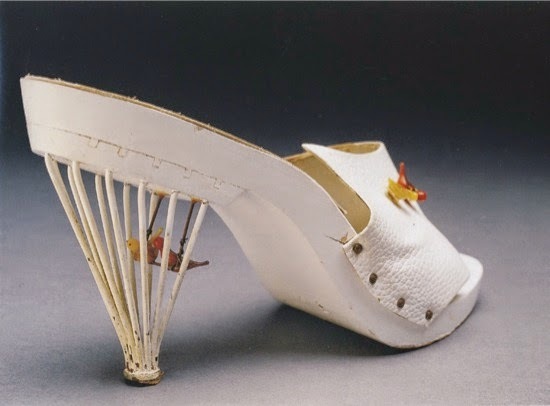 The original caption reads: Pair of white mules with "Birdcage" stiletto heel and birds, c. 1955-60, … worn by a lady in the mid-1950's. 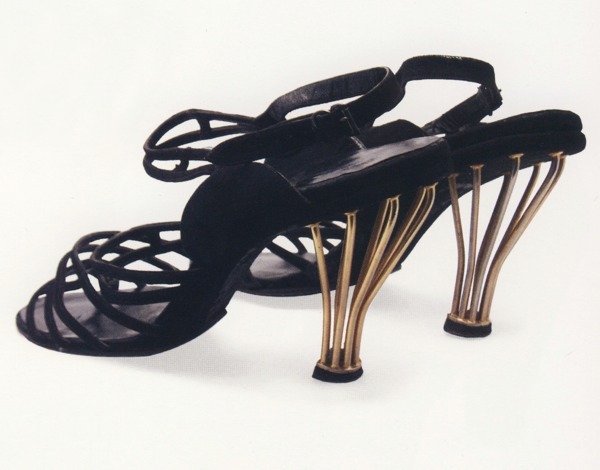 She brought them as a novelty one summer and wore them "quite a bit until her friends had seen them." In order to better identify the date a little help comes from a clip found on the British Pathé website (thank you Irenebrination). 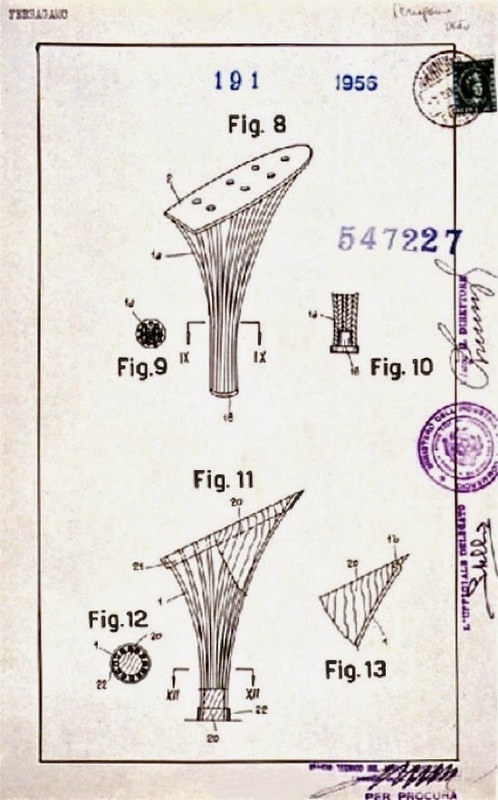 The audio says: "… from Italy comes this beach mule in leather with wooden sole …" while the related description reports: "Close up of a heel of a white mule designed to look like a cage and contains a plastic model of a monkey inside!" 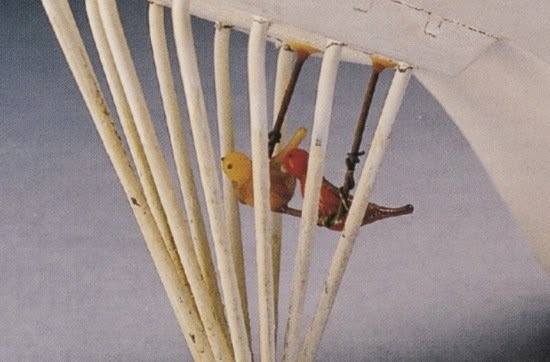 They like birds as much as fishes.